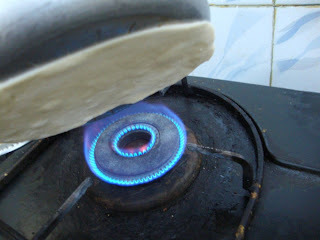 This is the second method of making Naans at home. As I said in my previous post on Baked Naans, the regular method I make Naans when I make it at home is normally on the Stove top. I have another recipe for making Naan on Stove top which is quite simple one. Whereas this recipe turns out little richer as I added butter to the dough. When you are as fond of Naans as I am, then making these on the stove top will please you as nothing else. 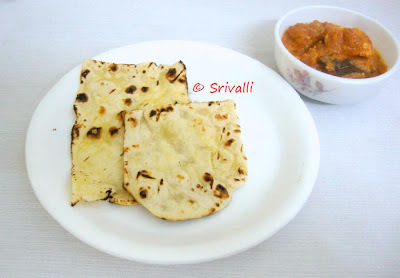 I really didn't find any difference in the taste or texture from the ones I made on the stove top and you can easily make anyone believe that you made it using a tandoor oven. 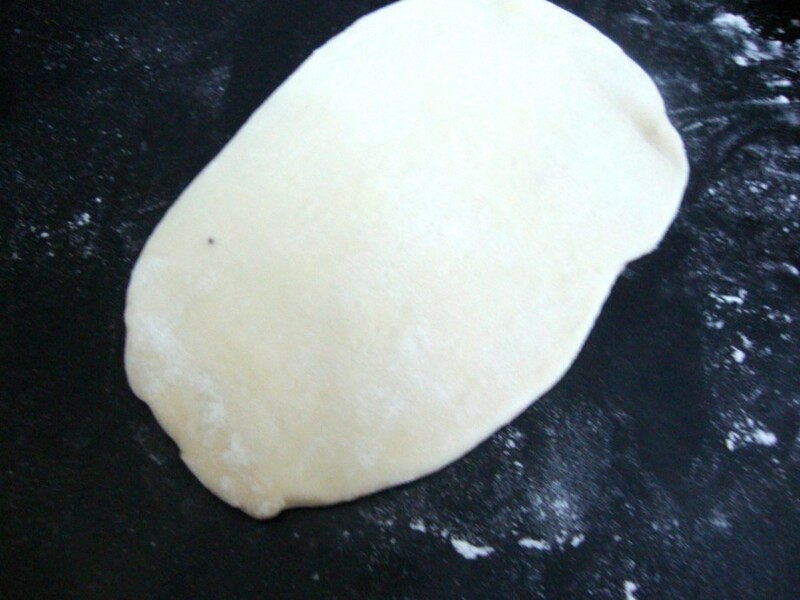 Please refer Baked Naans for pictorials on making the dough. 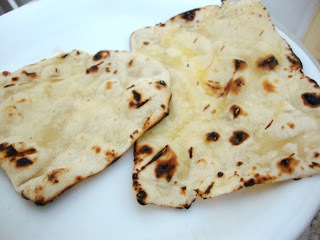 In this post I will be posting only about how to make the Naans on the Stove top. Basically you can use two ways to do this. Prepare the dough as I have mentioned in the Baked Naans. Roll them out and keep them ready. Apply water on the top surface. Take a pressure cooker pan, invert to have the bottom facing you. Now lift the naan and place with the water applied side over the bottom. Meaning the side applied with water goes face down. It will get stuck or glued to the bottom and will not fall down. Switch on the burner, Take the pressure pan over it. Can you see the bubbles starting to get formed? Take it further closer to get the entire area covered over fire. 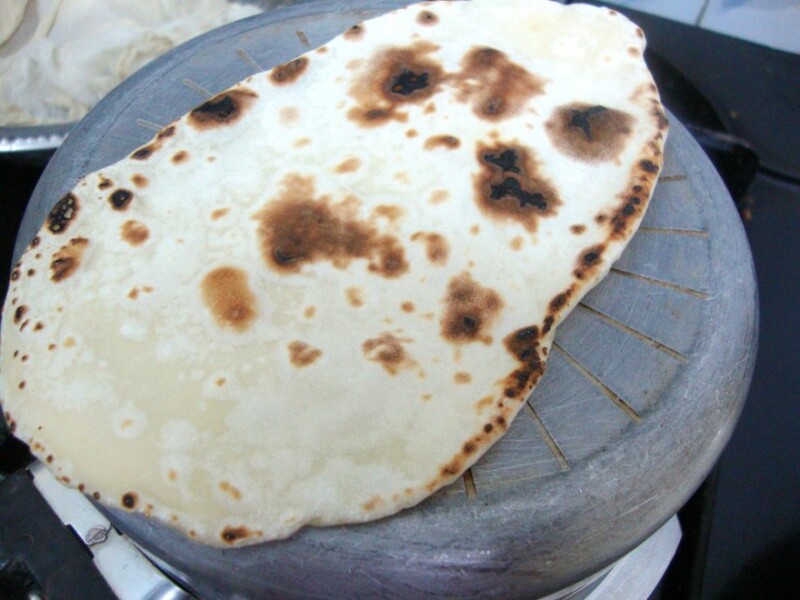 When the Naan gets cooked, the entire surface will be having brown spots like below. Mostly when it is cooked on all spots, it falls off the pan. Else using a tong, remove it and show the side that was stick on the pan over the flame for further cooking. Cut into small pieces and apply butter over it when it is still hot! Using Flat Cast Iron Skillet or Tawa. 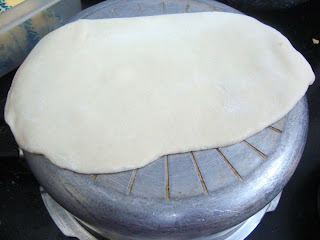 Same as Pressure cooker, grease one side of the rolled out Naan. 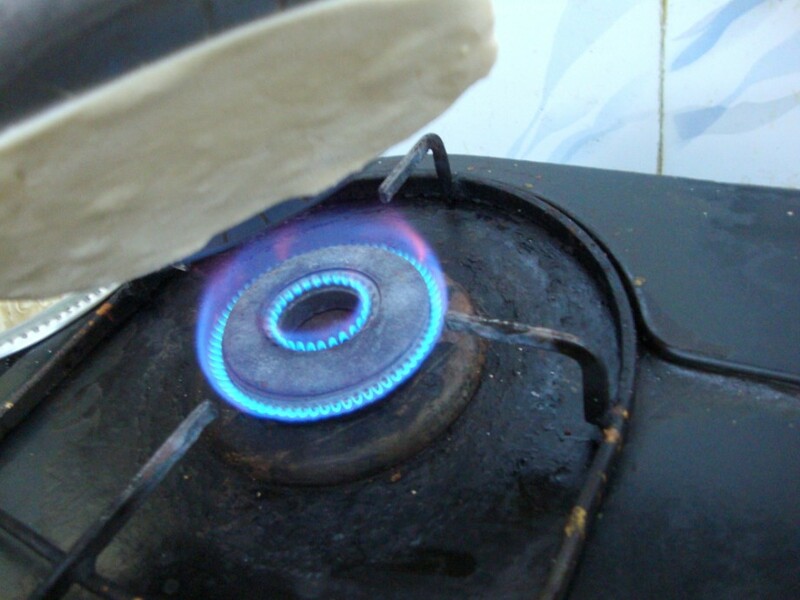 Stick the naan over the tawa and reverse over the flame. 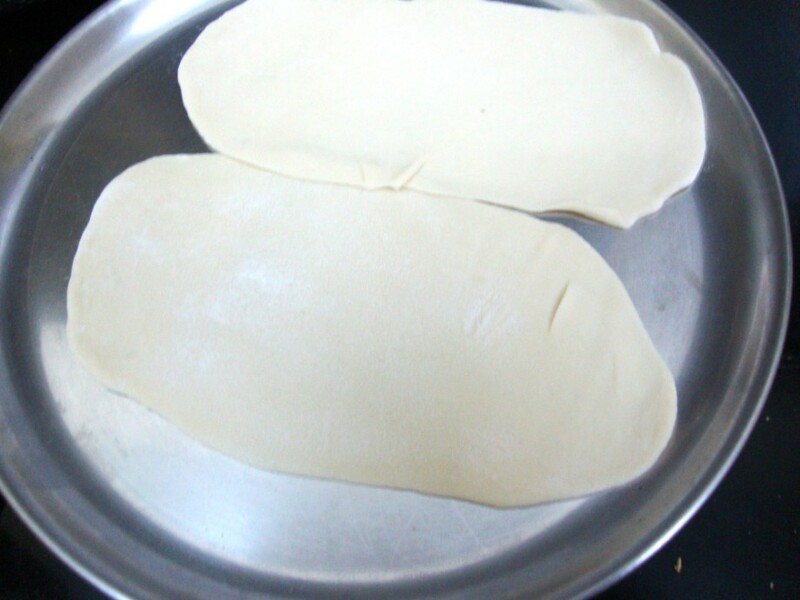 This is the ones we use to make Dosas or Chapathis. The cooking method is the same, but cooking on tawa gets done faster. But take care not to use a non stick tawa or else you will end up spoiling by the direct flame. 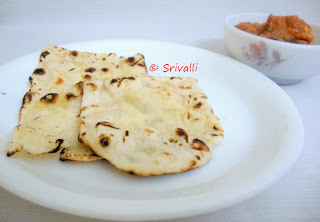 Up coming next will be of course How to make Tawa Naan!